The NSW Environment Protection Authority is investigating alleged illegal dumping and levy fraud. It is understood the EPA were examining anything that tracks the transport of waste between operators through different phases of processing. The Sydney Morning Herald reported that the EPA is targeting waste operators who are producing false receipts and hiding contaminated waste in "clean" sand trucks, then dumping them into landfill. Soil with waste including asbestos attracts a levy of $95.20 a tonne, yet clean sand can be dumped for nothing. The Herald also reported that up to half a million tonnes a year of contaminated waste is being illegally dumped on a range of sites. 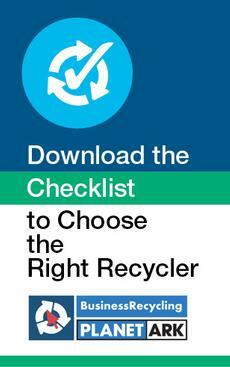 For businesses wanting to ensure your waste is recycled legally and responsibly, use our Choosing the Right Recycler Checklist and Factsheet.